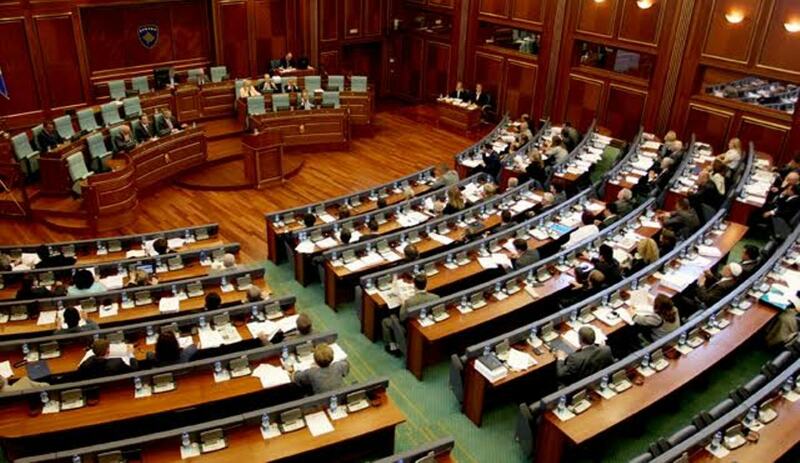 Following intensive debates between majority and opposition, parliament in Kosovo has voted during the weekend the bill that defines the duties and responsibilities of Kosovo’s state delegation in the process of talks with Serbia. The two largest opposition parties, Self Determination Party and Democratic League of Kosovo declared that they were against this document, while the Social Democrat Party, which agrees with the majority on a number of issues, approved the document. The bill in question defines what the delegation can and cannot negotiate, the structure, its responsibilities and the sort of coordination that should exist between Kosovo’s state delegation and other institutions of the country. Enver Hoxhaj, who is part of the delegation, said that this bill acts as a starting point for these talks. “There’s been a long debate during 2018 on the process of dialogue and there’s been a constant demand that parliament of Kosovo should be the one to decide how dialogue should be lead. We believe that this bill defines each element that concerns the issue of dialogue”, Hoxhaj said. Democratic League of Kosovo MP, Vjosa Osmani said that the president is using this bill to legitimize his plans for the country’s division. “This bill gives way to his plans for the negotiation of territorial swaps and the creation of the association of Serb municipalities”, she declared. The leader of Self Determination Party, Albin Kurti also criticized the way this delegation has been set up and the approach being taken in the dialogue with Serbia. He said that this delegation and this bill must be invalidated and that everything should start from the beginning. “This bill only defines the delegations’ relations with the president. Meanwhile, the bill has only received 59 votes and not 61 votes, which means that the bill was not even voted by a simple majority. On the other hand, it’s not true that the opposition’s role in the delegation is decisive, because the opposition only has 4 members, which makes its decision making role insignificant”, Kurti said.